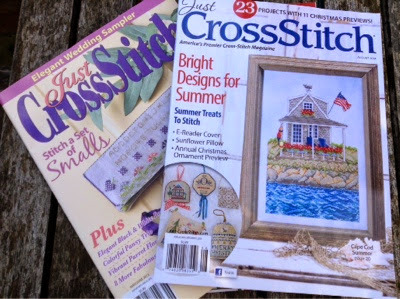 Jaynes stitching tales: Look what postman bought. 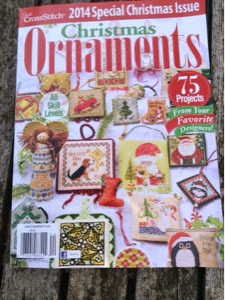 Received a package in the post, I had ordered some old copies of just cross stitch magazines and this years ornament issue. 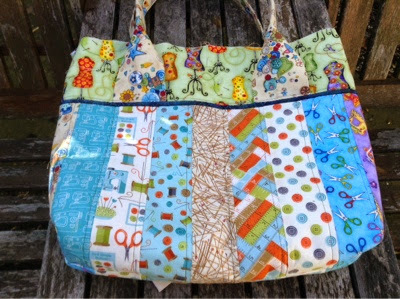 This is the bag I made from the class yesterday just have to attach the lining and it will be finished. This weekend off to Filey to the caravan as I have two bead workshops at Robinhoods Bay with Melanie Potter an American Bead Artist, we are starting a necklace on Saturday and a bracelet on Sunday I have all my beads really looking forward to it, our bead Teacher Jenny organised this, 4 clubs got together and invited Melanie over to teach. Your bag turned out beautifully. I have my JCS ornament issue too. Can't wait to start on something. 2613Hi Jayne, Just found your blog and I enjoyed going thru old posts. You truly are a creative spirit. I'll be back!